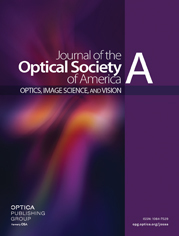 This paper proposes a customized and versatile optical setup to evaluate the optical performance of different commercially available intraocular lenses (IOLs). The setup was used to measure the wavefront error induced by different IOL models, verifying and analyzing the magnitude of low- and high-order aberrations induced by currently available IOLs. Independent analyses included non-toric spherical and aspheric IOLs from three different manufacturers. Three different dioptric powers were tested: 15, 20, and 25 D from each model. Dioptric power, induced cylinder, and spherical aberration were measured in each tested lens. All lenses had dioptric power within the tolerated margin of error. Induced cylinder was also within the current standards and clinically irrelevant. Spherical aberration varied according to the analyzed dioptric power and to the IOL model. We reported on the importance of the plane where the spherical aberration is reported, IOL or cornea. All analyzed IOLs were within current standards for the dioptric power and induced cylinder. Spherical IOLs had higher spherical aberration measured at the IOL plane. a Spherical aberration value at the corneal plane informed by the manufacturer. b n = refractive index informed by the manufacturer for a wavelength of 555 nm.